The value of pipe #095 is n/a points. Once again my friend, Baker Egerton, spotted an auction on eBay with this and another pipe being offered by Randall Pisechko. A few days later, they were mine. 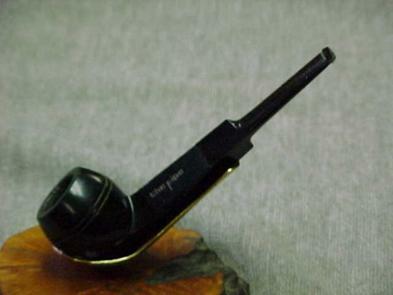 Later I got a better example of a black bulldog and offered this one for sale on the Pipes for Sale page. I sold this one to Tim Smith who is in danger of becoming as avid a collector as I am.